Make Sure ALL 72 Business Listings POWER Your Business Directly To You! "That's right, as powerful and integrated as Sliding Social is, we took a hard look at every single Social Media Marketing Service out there. We looked at Owls, we looked at Falcons, we even tried Yodeling, we looked at Sprouts, Buffers, Essentials, we even looked at all kinds of Hubs, and a bunch of other geeky stuff and we were frustrated by how difficult and cumbersome they were to use. And hey, we're programmer geeks, so it’s it's confusing to us, we can only imagine how frustrating it is for you. 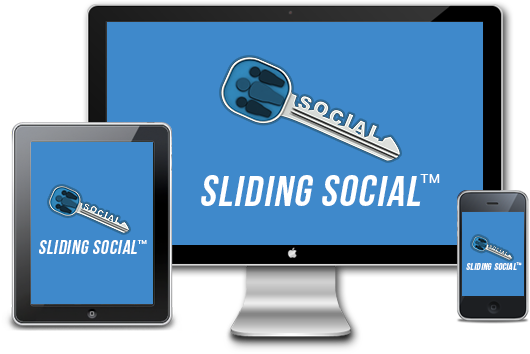 We took that as a call to action to make the most user-friendly interface and mobile app versions of our system possible..."
Sliding Social™ offers a revolutionary ENTERPRISE options that are completely customized to your needs and start with as little as 5 license contracts! The most comprehensive reporting system of any social marketing and, oh yeah, did we mention all of our reporting is unlimited and free? Yeah, most all social media marketing systems have a some type of scheduler, but ours connects to 23+ networks and your own personal library and intranet! Your own personal unlimited Library to quickly manage and pull all of your content from! You can upload and manage unlimited files with unlimited storage in a safe, 256 encrypted environment. Who else gives free unlimited cloud storage? Multi-level marketing capability throughout all license levels supercharges your company power to superhuman capacity. Systems start with as little as 5 license packages so it is accessible to even the small business owner. Schedule a demo to see for yourself and prepare to be awed.